Idle No More— As we begin a new year, we invite Idle No More groups to organize local teach-ins on January 28th based around the First Nation Education Act and the broader Termination Plan that it represents. We recognize that every Nation and community has their own unique stories, struggles, and practices and we hope that every teach-in is rooted in the on-the-ground realities that are the heart of the movement. When we include our local allies and supporters to attend, help, and promote local teach-ins we believe this adds strength to the bundle of arrows we continue to build through education. As a support to teach-in organizers we are developing educational tools to use at local teach-ins that will focus on the First Nation Education Act and the broader Termination Plan of the Canadian government. Please feel free to use these tools, or to develop your own! We are also hoping that each teach-in will create a quick list of local struggles or issues and that we can share these lists to help guide the Idle No More movement. We need to support one another as we continue to fight for our lands, water, sovereignty, and our future generations. We hope that these teach-ins help to deepen and strengthen our roots and prepare us for the work that lies ahead. Staff, Indian Country Media Network, Popular Resistance, January 26, 2014– Above photo: Courtesy Tenelle Starr/Via Metronews.ca, Tenelle Starr, a Grade 8 student at Balcarres Community School, wears her, “Got Land? Thank an Indian,” sweatshirt. Starr and other students wearing sweaters bearing that slogan were initially instructed to wear them inside-out due to complaints. The grassroots Idle No More movement was already planning a national day of action across Canada for January 28 to teach people about the First Nations Education Act, which most Indigenous Peoples oppose. Now the organizers are exhorting everyone to dress for the occasion—in a “Got Land? Thank an Indian” t-shirt or sweatshirt. 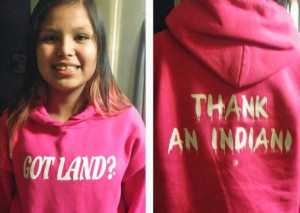 Idle No More has scooped up 13-year-old Tenelle Starr, the eighth-grade student from Star Blanket First Nation who persuaded school officials to let her wear a hoodie with the words “Got Land?” on the front and “Thank an Indian” on the back. Since that day, the shirt’s maker in Canada, Jeff Menard, has been swamped with orders. But now he might want to add another phone line. Idle No More is calling on everyone across Canada to don the slogan, which Menard sells on t-shirts and bibs in all sizes, in addition to hooded and non-hooded sweatshirts. Menard has set up a website,Thank An Indian, to field and fulfill orders. The shirts, bibs and other items that he said are forthcoming are also showcased on his Facebook page of the same name. A portion of the proceeds will go to help the homeless. Those wishing to buy the slogan south of the 49th Parallel can order at its U.S. source. The White Earth Land Recovery Project, part of the Native Harvest product line that is run by Ojibwe activist and author Winona LaDuke, has sold hoodies and t-shirts bearing the slogan for years. Menard has said he got the idea after seeing friends from the U.S. wearing similar shirts. The message and the lesson have taken on new urgency as racist comments proliferated on Tenelle’s Facebook page to such a degree that it had to be taken down. But that has only solidified the teen’s determination to make a difference and to educate Canadians, which she said was her intial goal in wearing the shirt to school. She received support, too, from Athabasca Chipewyan First Nation in Alberta, which invited her to the Neil Young concert in support of its efforts to quell development in the oil sands of the province. She attended the Saturday January 18 performance as an honorary guest, according to Idle No More’s website. Young is doing a series of concerts to raise funds for the Athabasca Chipewyan’s legal fight against industrial activity in the sands. CBC News reported that Tenelle’s Facebook page was shut down at the suggestion of the Royal Canadian Mounted Police (RCMP), which briefly investigated some intensely negative and racist comments that were posted on the girl’s page after the school ruling. The family deactivated Tenelle’s Facebook account “on advice from RCMP,” CBC News reported, and the RCMP confirmed that it was investigating. The message is a quip laden with historical accuracy that refers to the 1874 document known as Treaty 4, which Star Blanket First Nation is part of, in which 13 signatory nations of Saulteaux and Cree deeded the land to the settlers of what would become modern-day Canada. Nevertheless, many continue to view the message as racist. Idle No More aims to debunk that notion as well as clarify the historical record. Tenelle has participated in Idle No More rallies with her mother as well, the group said. Although Menard said that support has been streaming in from chiefs and others throughout Canada for both him and Tenelle, there has been negative feedback that shows there’s still a lot of misinformation to be dispelled, he told ICTMN. Eastern Michigan U Faculty resist neoliberal education policies and fight to keep public education public! Support Eastern Michigan University faculty in resisting the neoliberal agenda for teacher education. Sign their petition and check out the protest and teach-in on December 3, Welch Hall, EMU. The leadership of Eastern Michigan University (EMU) entered into an inter-local agreement that created the Education Achievement Authority (EAA). They did so in a manner that fostered assumptions that members of the education faculty at Eastern were actively engaged in the EAA — misleading the citizens of the state; the professional educators of the state; AND the students of the University. The fact is EMU faculty were not invited to give input into such an arrangement or asked for our expertise as researchers and professionals in the complex and varied aspects of education (school administration, teacher development, and student achievement) as the EAA was established. 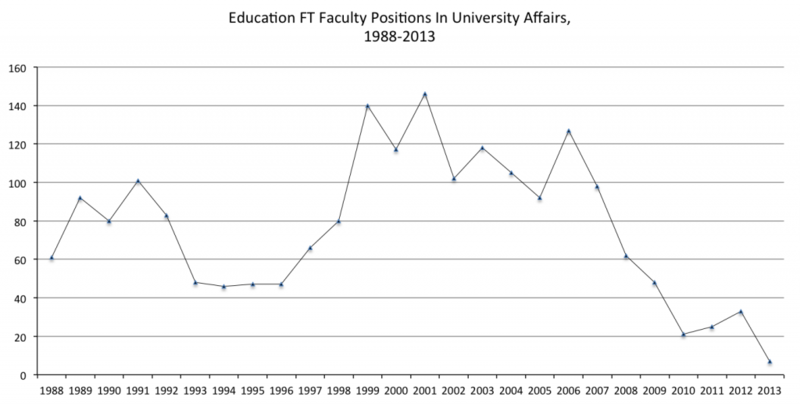 To date, the faculty have been excluded from any direct participation in the creation or implementation of its policies, operating procedures, professional development, curricula or pedagogical practices, many of which the faculty find questionable at best. Furthermore, the faculty find the undermining of democratic processes represented in the creation of a district outside the purview of public decision-making and oversight to be in direct conflict with this university’s mission and our legacy as a champion of public education. This violation of our principles is now beginning to affect our historically strong relationship with local schools. Thus, the faculty find Eastern Michigan University’s participation in the Education Achievement Authority unacceptable. 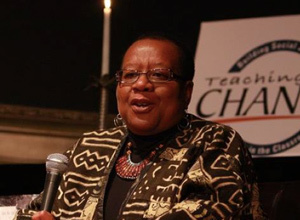 These negative impacts on our reputation, our local relationships, our students and programs, the clear effect on enrollments and thus revenue to the university are a repudiation of Eastern Michigan University’s legacy as a champion of public education and a leader in the preparation of educational professionals. The faculty implores you to remedy this situation as quickly as possible by unanimously voting to withdraw from the contract creating the Education Achievement Authority. Protest and teach-in on Tuesday December 3rd outside Welch Hall. Your presence will help illustrate the misstep that the EMU administration made as they entered this agreement under a cloak of arrogance. – 8:45 to 9:15 to coincide with the 9 AM start of the EAA Executive Committee and Regular Board meeting! There will be a Teach-In to follow from 10-12:30 at Halle Auditorium. Ms. Elena Herrada, Detroit Public Schools Board of Ed. The Government of Ontario cynically decided to let universities peddle the impossible dream of becoming a teacher to thousands of students. 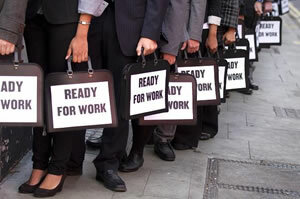 This is how we arrived at this morning’s announcement – sustained inaction combined with frankly stupid advice from senior bureaucrats in multiple ministries over a decade – with young workers taking a hit due to the rank incompetence of their elders and leaders. 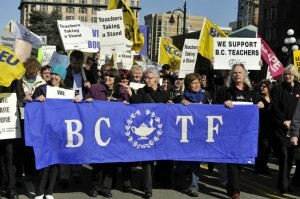 The same processes have underwritten teacher education in BC for over a decade, with admission totals simply defaulted to a quota for tuition dollars and promises of a job market demand for teachers that never materializes, as more and more graduates queue up for substitute, “teacher on call” (TOC) jobs dependent on 5:30 am phone rings to put a meager amount of bread on the next morning’s table. The same policy blunders seem to apply in the throes of a tanking economy in BC as well, with recurrent cuts to education funding, incentives to privatize or fuel competition between public and independent or private schools, measures to erode, limit, or cut salaries and wages of public sector employees, disintegration of respect for public sector employee bargaining rights, and a sustained degradation of respect for teachers as professionals and intellectuals and as members of an effective union. Nonetheless, this is Vancouver and time for a little rain on the UBC Faculty of Education’s parade and crashing the party. It is time to acknowledge that the teacher surplus is no longer a conversation piece removed from the Teacher Education Office’s dialogue on what it means to be or become a teacher. CUPE BC, August 25, 2013– CUPE’s education workers [launched] a radio and television advertising campaign on Monday focused on building support for the union members’ work to keep BC’s schools clean, safe, and inclusive. “We’ve made every effort to bargain a fair and reasonable settlement with the employers, but their lack of preparation is threatening to disrupt classes this fall,” said Mark Hancock, CUPE-BC President. CUPE education workers’ collective agreements throughout the province expired over a year ago. Previous negotiations in spring 2013 were derailed when it became clear that government had not given the BC Public School Employers’ Association (BCPSEA) a mandate to reach a settlement. BCPSEA is now directly controlled by the BC government, but it was not prepared for the latest round of bargaining in August when talks broke off for a third time. It has been more than four years since the education assistants, clerical staff, trades, custodians, bus drivers and other education workers represented by CUPE have received a wage increase. Virtually all of the 57 CUPE locals representing education workers have had positive strike votes. 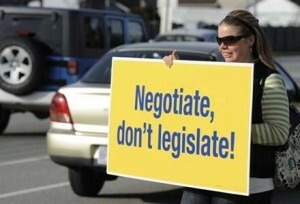 The Canadian Union of Public Employees represents more than 27,000 education BC workers in the K-12 system. Owen Davis, Truthout, August 2, 2013– Brianna stands beside the conductor’s podium in the band hall of Chicago’s Uplift High School. An engrossed audience is packed on the risers. Mirrored sunglasses obscure her expression, and her only sign of nervousness is in the movement of her hands, clasping and unclasping before her. Instead, she found that her school was one of the many consolidated into charter schools, which draw public funds but are privately managed. Thousands of school employees had been fired (a move later ruled illegal), and many of the replacements were young, lightly trained recruits from Teach for America. By 2007, nearly half of the city’s teachers were in their first three years of teaching. TFA became embedded in the fabric of the district, and one in three New Orleans students can now call a TFA recruit their teacher. The summit didn’t drop from the sky fully formed. A group of New Orleans-based parent-activists, former students, non-TFA teachers and TFA alumni collaborated for months to arrange it. Complementing their critique is a small but growing group of TFA dissidents and apostates who’ve taken their concerns to the press. Even as TFA marches into more and more classrooms throughout the country and world, a burgeoning group of heretics is nailing its theses to the door. But why are they speaking up just now? Over the years, he cultivated a full critique of TFA, conveyed in part in his 2010 Seattle Times op-ed agitating against bringing TFA to Seattle. He feels that TFA “fits very nicely into an overall strategy” of privatizing education and diminishing critical thinking. Meanwhile, the organization glosses over intractable issues of race and inequality at the heart of American educational system. Given the BC Liberals history of underfunding public education, promoting corporate intrusion, and undermining of collective bargaining, the Vancouver Elementary School Teachers’ Association (VESTA) are lobbying the BCTF to endorse the NDP leading up to the May 14 election. “The change has been brought about by what we consider to be a decade… long attack on public education through government policy, strips of collective agreements, legislation,” said Gerry Kent, VESTA president. CBC News, April 29, 2013– The B.C. School Trustees’ Association says it will call on the provincial government for more money after the election, as school boards across the province struggle with a budget shortfall of $130 million. The trustees voted unanimously at its annual general meeting this weekend to ask whichever government is elected on May 14 to re-open the issue of school funding. School boards are required by law to have balanced budgets, but Teresa Rezansoff, the newly-elected BCSTA president, says they are faced with wage increases and other rising costs. “We’d like to see a commitment to sustainable, predictable funding that covers those annual cost pressures that are there,” said Rezansoff. “There is no better investment you can make than in our future citizens and it should be an absolute top priority for any government,” she added. The Vancouver School Board, which votes on next year’s budget on Monday night, is faced with an $8 million shortfall. As a result, the board has decided to scrap its continuing education program and have another two-week spring break next year. But parents say the time off means extra child care costs, adding to increasing fees and fundraising demands schools already places on families. 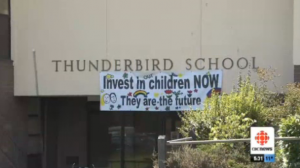 “It’s a direct hit to the children and to the low income families,” said parent Iraj Khabazian. Last Week, the Coquitlam School Board took the drastic measure of cutting more than 140 jobs, after announcing a potential deficit of more than $7.5 million.